Each year ROW Adventures seeks to hire a few exceptional individuals seeking entry level positions as whitewater adventure guides. 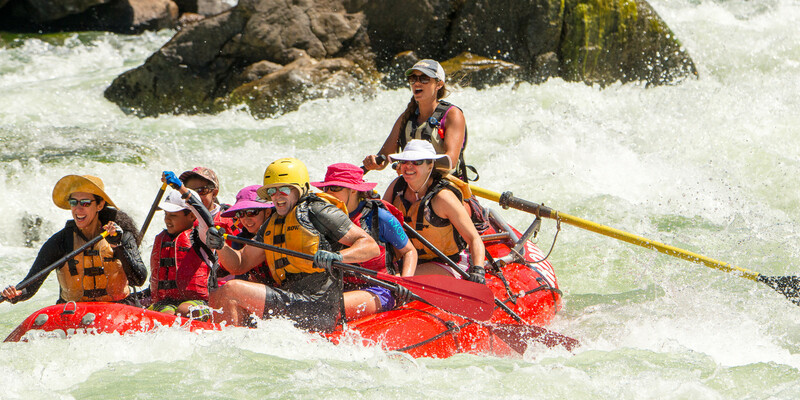 No whitewater guiding experience is necessary to apply, but all hires must successfully complete ROW's Guide School Program and other required trainings before guiding commercial trips. New first-year guides usually guide one-day trips on the Clark Fork but may be rotated onto any river ROW runs for which they are qualified and licensed. Due to the breadth of rivers and types of trips ROW runs, this position offers a great start to what can become a longer, rewarding career in outdoor leadership with ROW Adventures. New whitewater guides join a highly experienced staff of fun-loving, thoughtful and talented outdoor professionals with a tremendous passion for the natural world. As much as we love boating, we love sharing nature with our guests even more. ROW hires individuals committed to excellence in hospitality and safety, who desire to provide meaningful interpretation to guests, support conservation efforts, desire to grow and learn, and who seek to set the high water mark in their professional and personal lives. Looking for a great place to get started and grow as a whitewater adventure guide? Then apply to join our team!